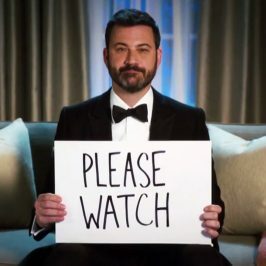 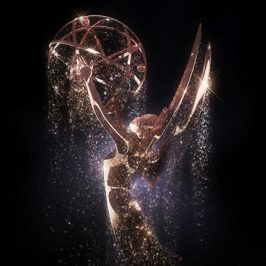 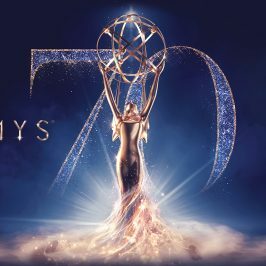 The 70th Annual Primetime Emmy Awards will be broadcast LIVE and exclusively on FOX8 direct from Los Angeles on Tuesday September 18 at 10am AEST, with an encore screening at 7.30pm AEST. The telecast will also be available to stream on Foxtel Now. 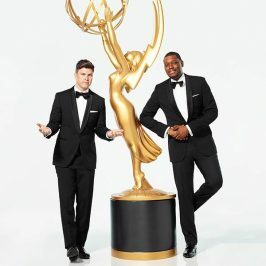 Colin Jost and Michael Che, hosts of Saturday Night Live’s ‘Weekend Update’ segment will host the 70th Primetime Emmy Awards and the telecast will be executive produced by SNL’s Lorne Michaels. 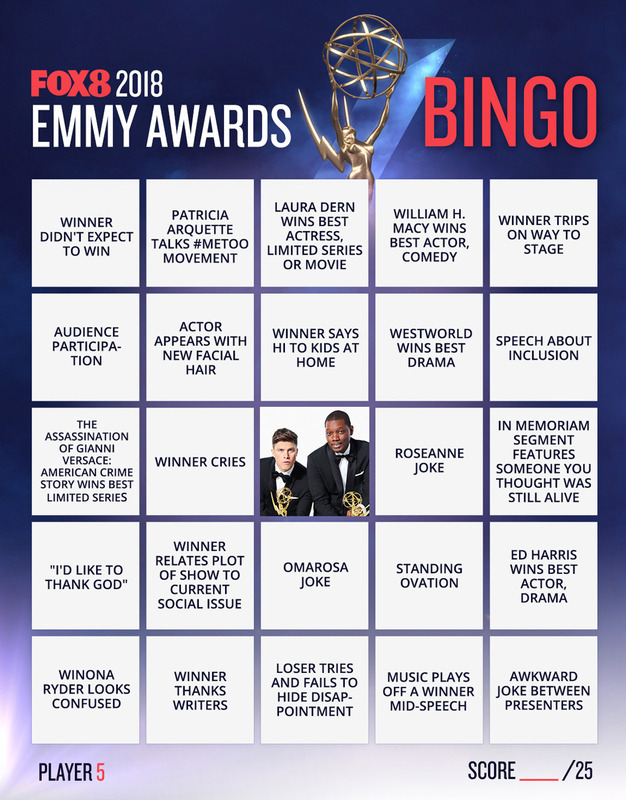 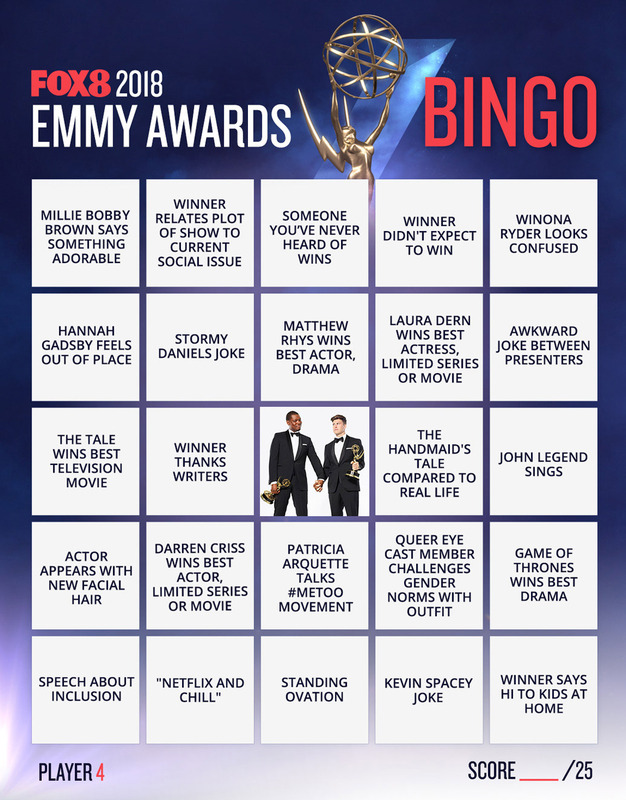 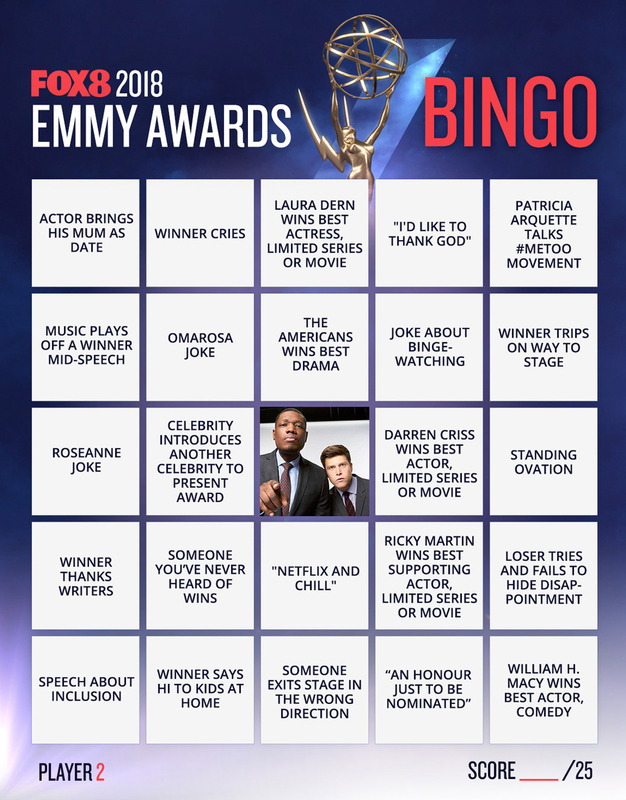 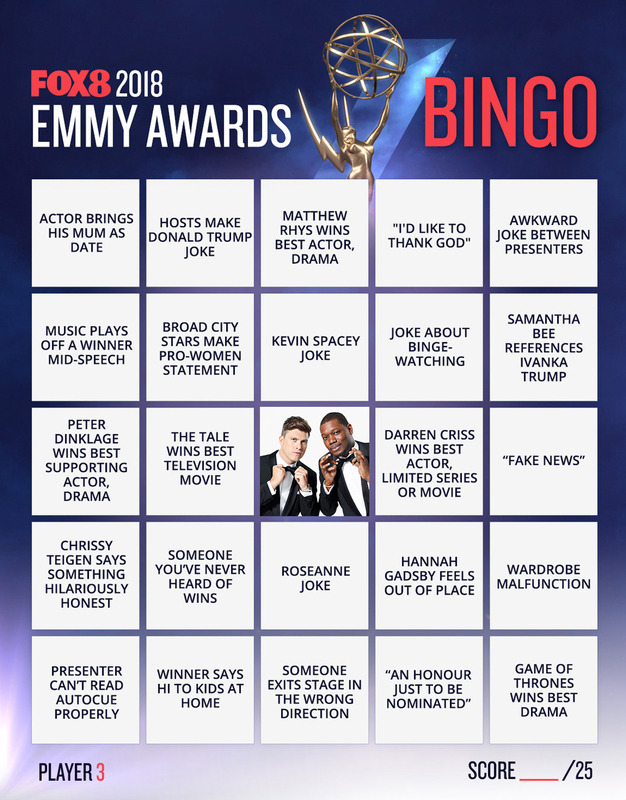 Grab some friends and play along with our Emmy Awards bingo game. 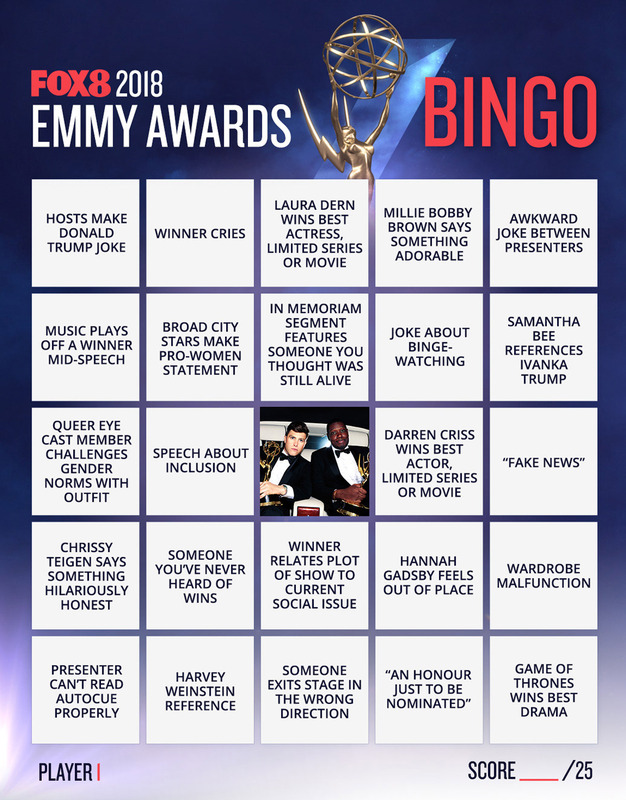 Download your bingo cards below!